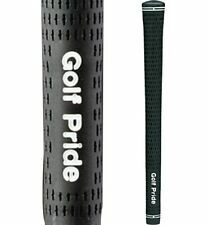 GENUINE GOLF PRIDE TOUR VELVET GRIP (BLACK). The Tour Velvet® is the standard upon which many club manufacturers base their designs. The World's Most Popular Grip. ABOUT GOLF PRIDE. GRAPHITE SHAFTS. High quality aftermarket shaft sleeve adapter. The adapter fit 335 tip size shafts only. It Compatible with Ping G-30 Driver or Fairway. Colour: Black Package Included: 1 x Connector Note: Light shooting and different displays may cause the color of the item in the picture a little different from the real thing. The measurement allowed error is /- 1-3cm. Brand Unbranded MPN Does not apply UPC 190268862325. JLGOLF LTD : golf accessories at great prices! 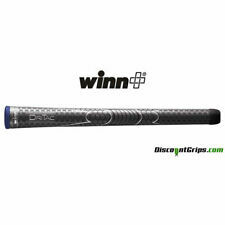 Compatible with: Ping G30 Driver and Fairway Woods. We aim to reply within 24 hours. High quality aftermarket shaft sleeve adapter. . The adapter fit .335 tip size shafts only. . Ferrule included. . Screw and washer included. . It Compatible with Callaway 2015 Big Bertha Alpha 815 XR XR Pro.WILL NOT WORK ON 2014 MODEL! Note: This product works for both hands, normally the number on the adapter is correct for right hand, but it has reverse meaning for left hand. The color is Green and Black and in excellent condition. 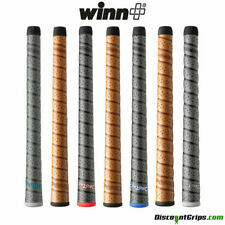 This grip is a winner! Many switching to JumboMax find that they hit the ball farther and with more accuracy. 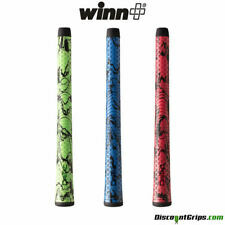 Once you try them you'll never want to go back to a "skinny" grip again. Launch - Low. Flex - 6.0 (Stiff). 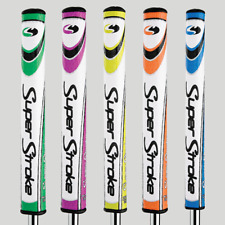 Shaft Length - 43.75", installed gives you a 45"-45.5" driver club length depending on driver model. Tip Size -. 335. Over 100,000,000 served. Item Details. All goods remain the property of HOTGOLF LTD until paid for in full. This fee will depend on the size of the order and will be quoted should you wish to cancel the order. Your personal information may be held by HOTGOLF LTD on computer or manual files and will be used for administration purposes. LAMKIN CROSSLINE MENS MIDSIZE GOLF GRIPS X 13 +FREE ROLL OF GRIP TAPE !!!!!!!!!! 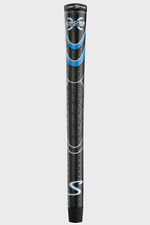 The Lamkin X10 is a Ltd Edition black out version of the ever popular Lamkin Crossline grip. Incredible lateral traction for enhanced grip stability. STEP 2 - Wrap your PRO-GRIP double sided grip tape in a spiral formation from. 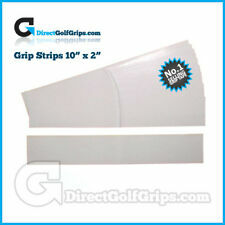 Premium golf grip tape solvent – this product has been developed by Brampton Technologies Ltd. The Complete Re-Gripping Kit - Everything You Need To Re-Grip 14 Golf Clubs. Included in this re-gripping kit is everything a golfer will need to re-grip 14 clubs. The PURE DTX is an incredible grip in every way! Gives you all the benefits of a cord grip without that hard, 'tear up your hand' type feel. No matter what you do, make sure you are buying from a legit source! 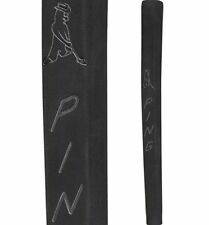 This is an ALDILA PING KS401 graphite iron shaft taken from a PING iron. Shaft weight is 55 grams and length is 35.5". FITS THE NEW RH F9 DRIVER ONLY! This is a factory new OEM Cobra. 335 tip Adapter Sleeve. Type: 0.600 Counterbalance. The Golf Grip Specialists. Sourced from official distributors. Colour: Red / White. PXG SUPERSTROKE MIDSLIM 2.0 PUTTER GRIP. UST Mamiya Recoil 110 F4 Graphite Shafts. Taper Tip (Will Also Fit Standard Heads). Stiff Flex.